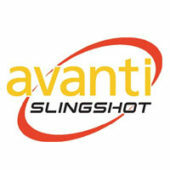 TORONTO, September 24, 2015 – Avanti Computer Systems Limited, a leading provider of Print MIS solutions, today announced that Avanti Slingshot passed the rigorous CIP4 certification testing and it is now an officially JDF-certified product. The International Cooperation for the Integration of Processes in Prepress, Press, and Postpress Organization or “CIP4” is a not-for-profit standards association, whose mission is to foster the adoption of process automation in the printing industry. Printing Industries of America (PIA), on behalf of CIP4, tested Avanti Slingshot against the JDF Specification and awarded Avanti certification for both MIS to Prepress and Integrated Digital Printing. Avanti’s continued R&D investment is evident in the company’s decision to build Avanti Slingshot from the ground up as a cloud-based Print MIS platform. The product was launched at Print 13 and is the winner of numerous awards, including two of this year’s Graph Expo MUST SEE ‘EMS awards. Avanti achieved its first JDF certification in 2008 for its Avanti Classic – Graphic Arts Management System. JDF bridges the communication gap between prepress software, press and production equipment, and a printer’s Management Information Systems (MIS), thereby streamlining the overall production workflow. In short, it provides an environment where all the software and equipment in the print shop can “speak the same language.” Streamlined implementation of integrations between JDF-certified systems enables precise communication, thereby reducing multiple “touches” on print jobs and eliminating the possibility of human error. As a certified Print MIS, Avanti Slingshot provides fully automated integration into the industry’s leading prepress and digital printing systems, thereby reducing overall integration costs and rapidly improving ROI. Visitors to last week’s Graph Expo 15 experienced Avanti Slingshot’s latest release, winner of two prestigious MUST SEE ‘EM awards for the modules: Grand Format Estimating and Automated Press Sheet Optimizer. For those unable to attend Graph Expo, Avanti is hosting a live “Graph Expo Recap” webinar featuring the winning modules on Wednesday, September 30th. Individuals can register for the Avanti webinar here. I would like to know where i can get a trial download for Avanti Slingshot to see if there is any synergy with our Vortex Caldera RIP and Liberty MIS for our Memjet Vortex 4200 wide format and Vortex 850R label printing technologies. We have a pre-press interface and dynamic running cost application which addresses coverage, ink usage (pico to nano to milli litre, ISO Color Match Standards after processing the pre-print file. Liberty also offers Full dynamic calibration and regsitration during media selection and media switch preventing spit/spatter from first print out. Our Liberty MIS also ensures that there is no blockage in any of the 74000 nozzles delivering 740 million drops per second to ensure perfect print quality from 1m2 to 1000m2 per hour and beyond with full machine and job logging through our Cloud based Vision Centre portal.